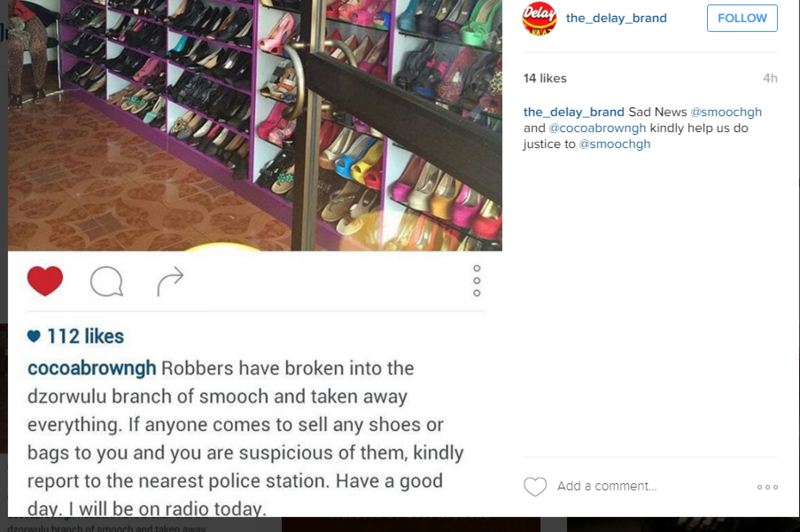 Radio and television personality Deloris Frimpong Manso known in showbiz as Delay has announced that her Dzorwulu branch of Smooch Fashion Boutique has been robbed. She made this public announcement via Instagram. According to her the thieves made away all the things in her shop leaving the shop empty. In a post she asked the public to be alert and careful of who comes selling shoes and immediately alert the police.